I think of all the interests Chris has had (and he has had many), this is my favourite, running closely with the allotment. He started growing cut flowers a few years ago, and we now always have an enormous patch of self seeded corncockle and this year some calendula and fox gloves. We also grow lavender and some daisies, which come every year and also have cosmos, carnations and achillea growing. 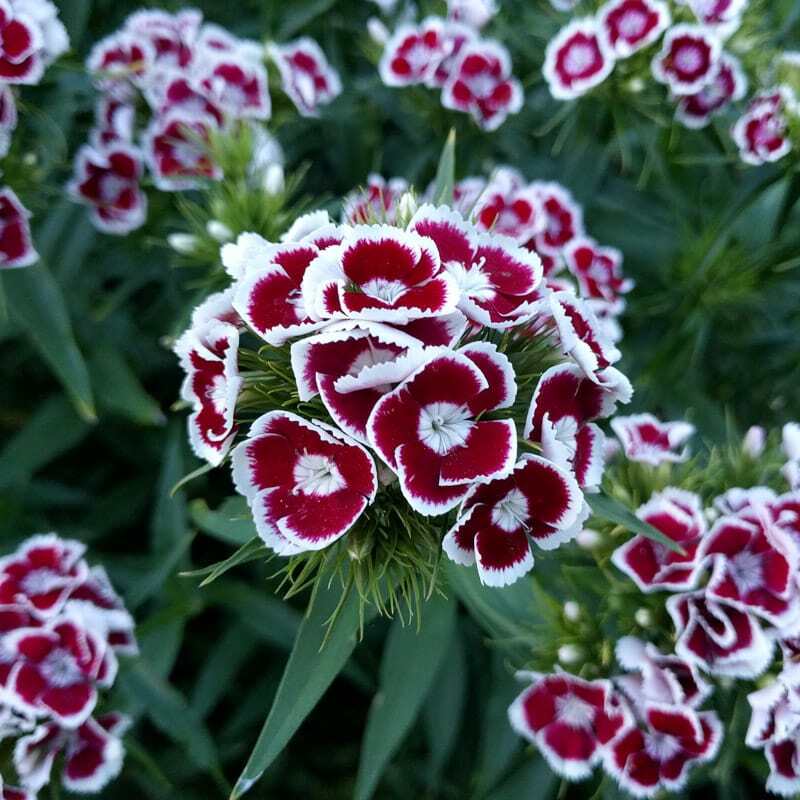 My favourites were the Sweet Williams Chris grew when he did biennials one year. They were gorgeous, I think they are my favourites, although it is hard to choose. Through this hobby we discovered Higgledy Garden. (we didn’t literally discover him, we found him on the internet…) Who is hilarious, has excellent quality seeds, is a mine of information and always includes a hand written letter (he also has lovely handwriting :D). He’s really interesting, he currently lives on a canal boat with his dog. If you’re going to buy seeds he is definitely worth taking a look at. If we are to grow flowers (and produce fruit and veg) in the North of Scotland, we will probably have to buy a polycrub. They’re like a really really tough polytunnel, made to withstand the winds I think. They make them out of recycled salmon pipe and are based in Shetland, which will be handy if we move there! Posted on June 7, 2018 June 8, 2018 Categories Adventure, Cut flowers, Family, Gardening, Home, House selling, Husband, Jesus, Life, Polycrub, Shetland, TravelTags Adventure, calendula, Cut flowers, faith, Family, higgledy, Husband, Polycrub, Shetland, sweet william, TravelLeave a comment on Flower Power!